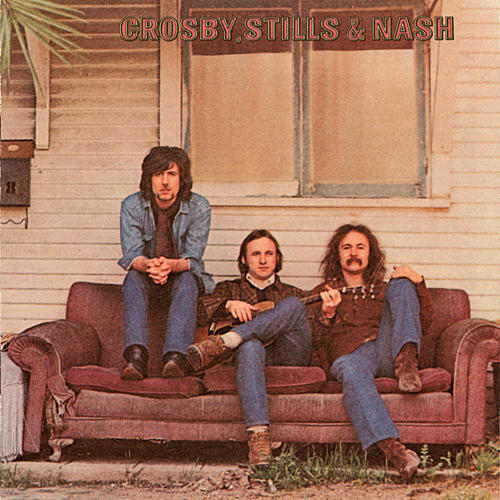 After I nagged my dad in my teenage years to fix the long-dysfunctional family record player, Crosby, Stills, and Nash, along with Jefferson Airplane’s Surrealistic Pillow, was two of the first albums I put on. According to my several years of rabid consumption of Rolling Stone magazine, CSN was one of the more famous albums they owned. My parents’ taste seems to have been rather indie and eclectic, trending more towards blues and jazz, plus I think the collection had been picked over by my dad’s older children many years before, so there weren’t too many albums left that were recognizable by a 90s teenager. Needless to say, I somehow knew what I was doing, as Surrealistic Pillow and CSN turned out to be life-changing, mind-blowing albums that had been sitting in a cabinet for years waiting for me to play them. Clearly when these three guys got together, the timing was right creatively and they weren’t too overwhelmingly blasted on drugs such as to render them unproductive. Unlike some of today’s artists, they were also good editors – it stands to reason that 3 very experienced guys could have written and released a ton of songs, maybe made a double album, but they trimmed it down to 10 really great ones, though admittedly several of the songs are quite long, so maybe that was part of the compromise. I’m a sucker for good harmonies, so this album completely satisfies that preference. The musical skill demonstrated here is also very impressive. Songs like Marrakesh Express help you see why these guys were tight with Joni Mitchell at the time – it very much resembles her painterly songs. This is yet another random discovery that pushed my tastes forward and I love it for that reason as well.